Exploring new destinations is one of the great joys of being a superyacht owner but there’s something about stepping off your private yacht and into a less-than-luxurious rental car that doesn’t feel quite right. Thanks to Enterprise this is no longer a problem. The car rental firm has just added two Aston Martin models — the DB9 and Rapide S — to its Exotic Car Collection meaning you can now hire a supercar to match your superyacht. 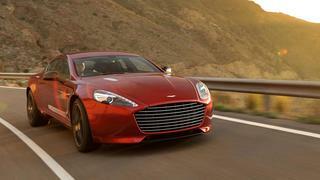 For larger parties the Rapide S is the obvious choice. This comfortable four door five-seater is spacious enough for longer journeys but also boasts a 5.9 litre V12 engine than can do 0-60 mph in just 4.2 seconds with a top speed of 203 mph. Perfect for tackling some of the best coastal roads to drive. 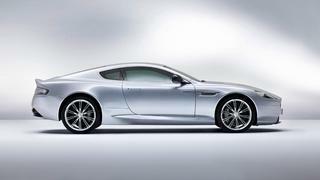 However, if you’re after something with real James Bond appeal then the spy-approved DB9 is for you. The direct descendant of 007’s famous DB5, the DB9 sports a powerful V12 engine and chic leather and walnut interiors guaranteed to turn heads from Miami to Monaco. The Enterprise Exotic Car Collection was launched in 2006 to offer discerning clients across the world something a little classier than your average rental car. Alongside the Aston Martins, the collection also features a range of cars from Maserati, Ferrari, Lamborghini, Porsche, Bentley and Jaguar, to name just a few. Rental prices for the new Aston Martin models range from $900 - $1,400 per day depending on location and season and are available in some of the USA’s top superyacht hotspots, including Miami and San Francisco. Other Exotic Car Collection models are available to rent in the UK, Canada and Switzerland.